If we were having coffee today, I would take you to one of the riverside cafés, with tables out on the pedestrian street. It’s a beautifully sunny day, and together we would bask in the warmth, and talk about the wonders of spring and the beginning summer. Here in the north, this is a time of being almost overwhelmed by the incredible beauty of our nature. 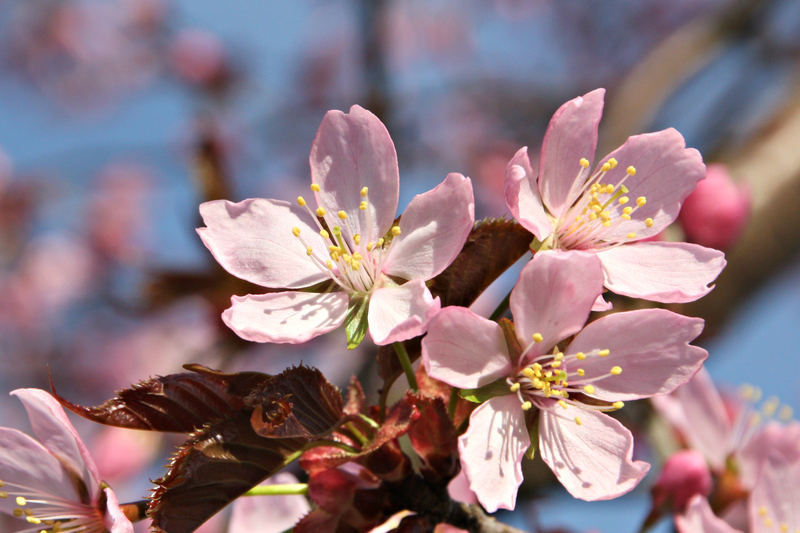 While sipping our frothy cappuccinos, I want to show you the procession from spring to summer through my nature photos. 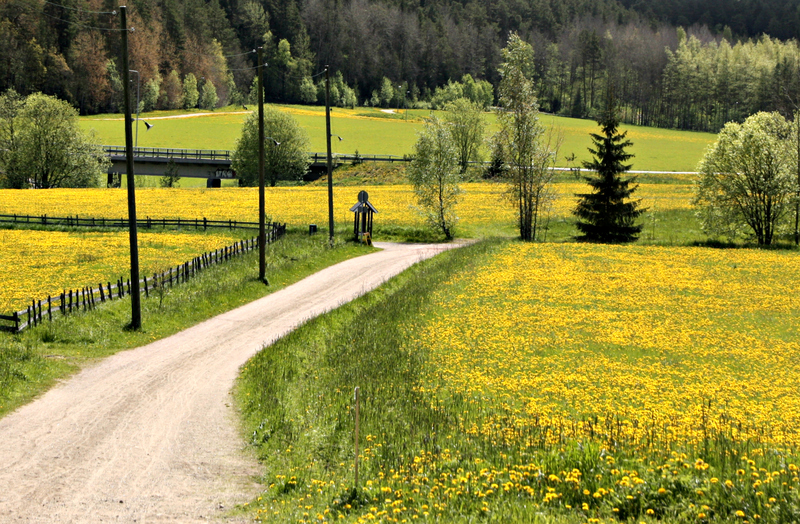 Starting in April, quite suddenly, after the snow has melted, and with the first warmer days, the little yellow “suns” appear by the roadsides. 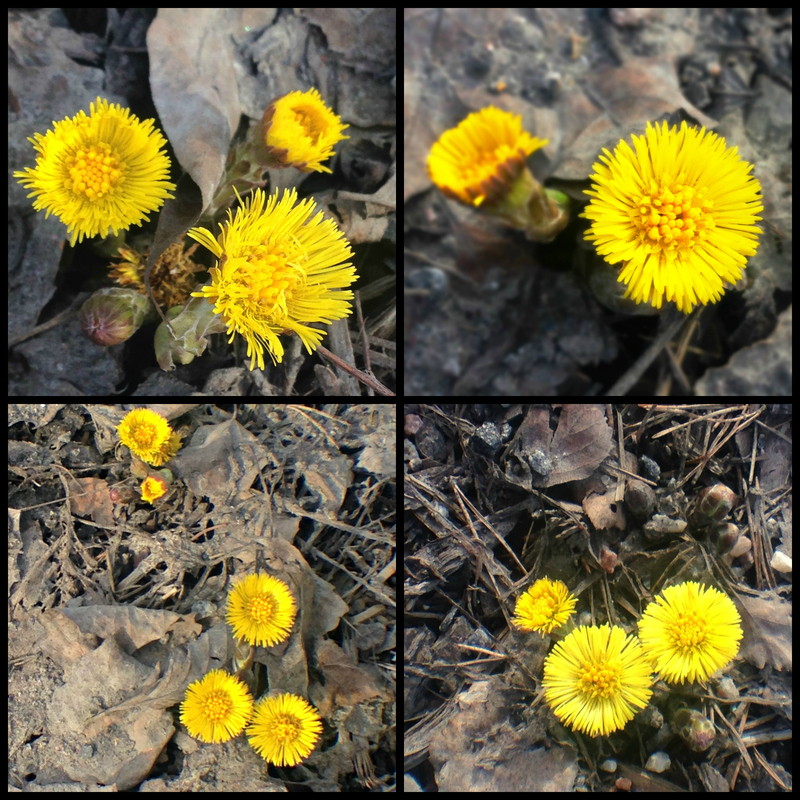 Interestingly, coltsfoot is called “widow’s leaf” in Finnish – but, please, don’t ask me about the etymology behind the name, I have no clue. These first spring flowers are small, low and quite modest but as they usually grow in groups, they will soon create bright patches of colour on the otherwise sepia ground, and revive our tired winter eyes. Not long after this, there will be the first glimpses of blue in the woods behind our house. ‘Anemone hepatica’, with its furry stem, starts opening its petals. 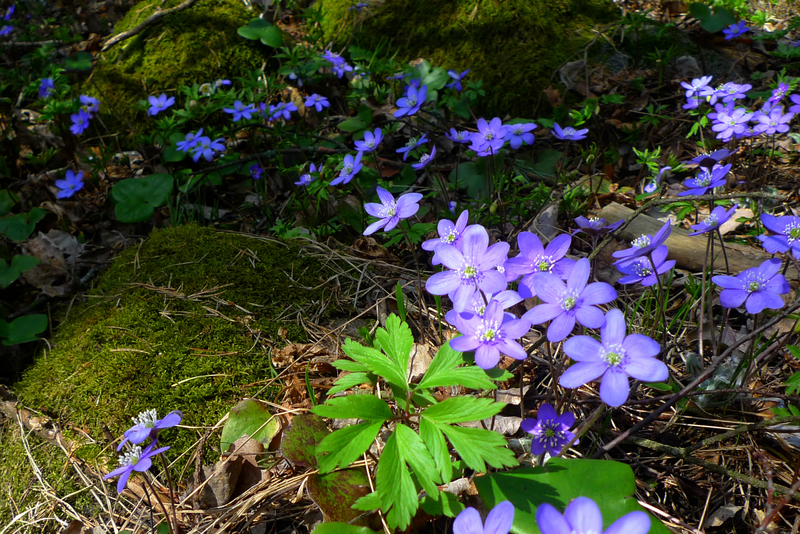 In Finnish we call it the “blue” hepatica although I find the colour more towards mauve or purple, especially in sunlight. Lovely, aren’t they? 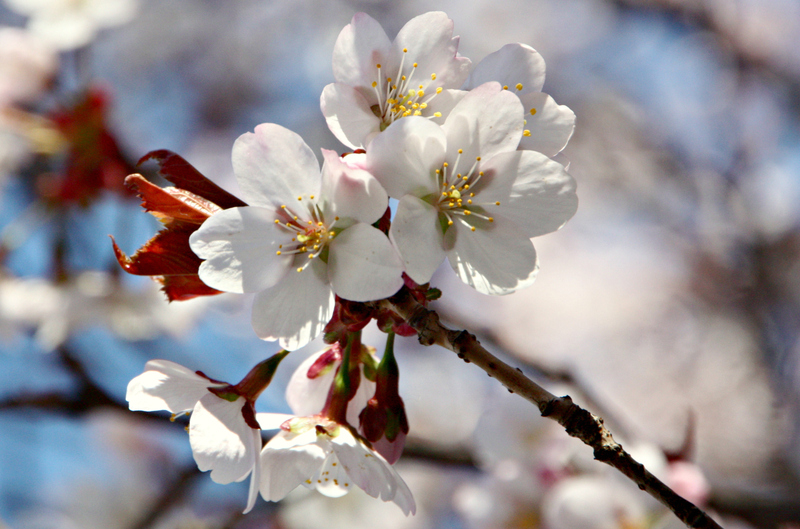 Towards the end of April, it will be the gorgeous whites and pinks of the cherry blossoms. So fragile, shivering in the wind, and so fleeting – you hardly have time to adore them before they are gone. A powerful reminder to seize every precious moment of our lives! 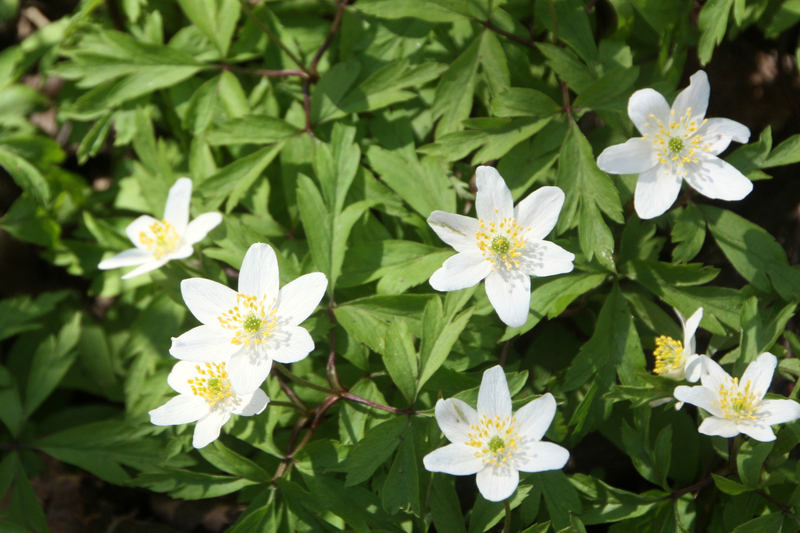 By Mother’s Day (second Sunday in May in Finland), the woods will have usually changed into white, with countless ‘Anemone nemorosa’. 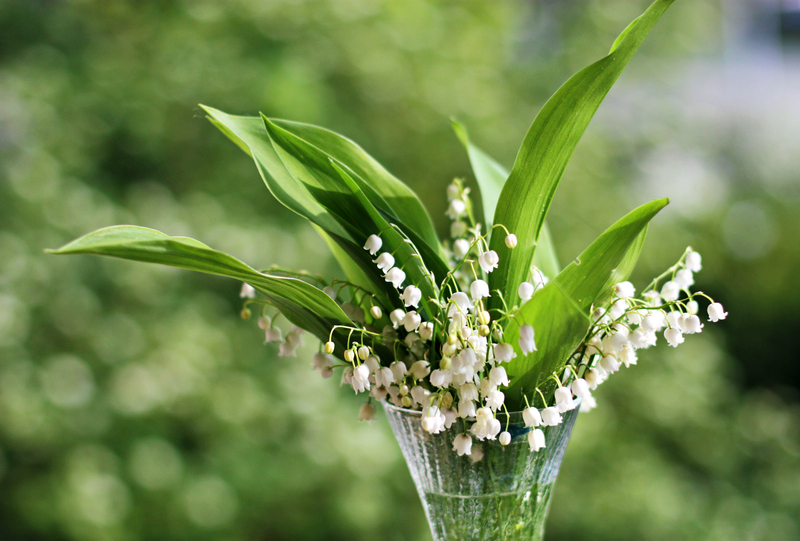 It’s a common flower to be picked by children to give to their mothers on that special day. One of my all-time spring favourites. Later in May then, while many people I know will be busy stocking up with all possible poisons to kill them off, my eyes will feast in the fields coloured bright yellow with dandelions. Why would you want to kill them off? Yellow makes us humans happier! 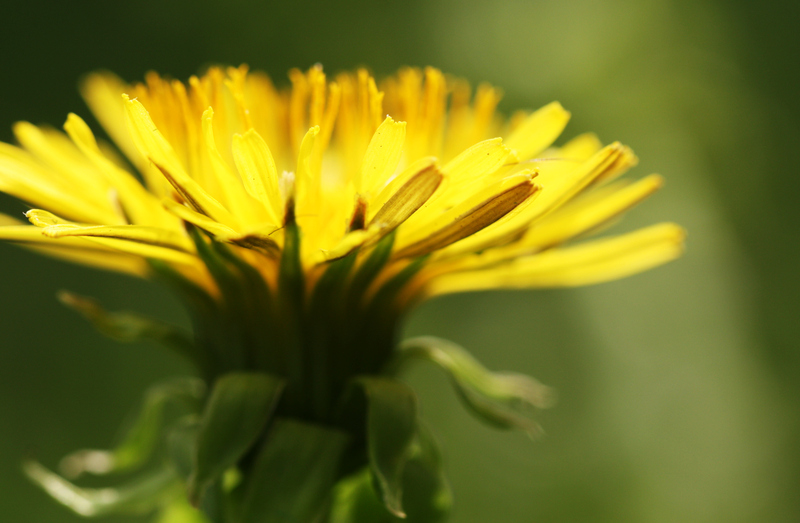 What’s more, killing off dandelions will also deprive bees of their vital pollen. As declining bee populations are a major catastrophe in more and more areas of the world, it is essential to protect them. 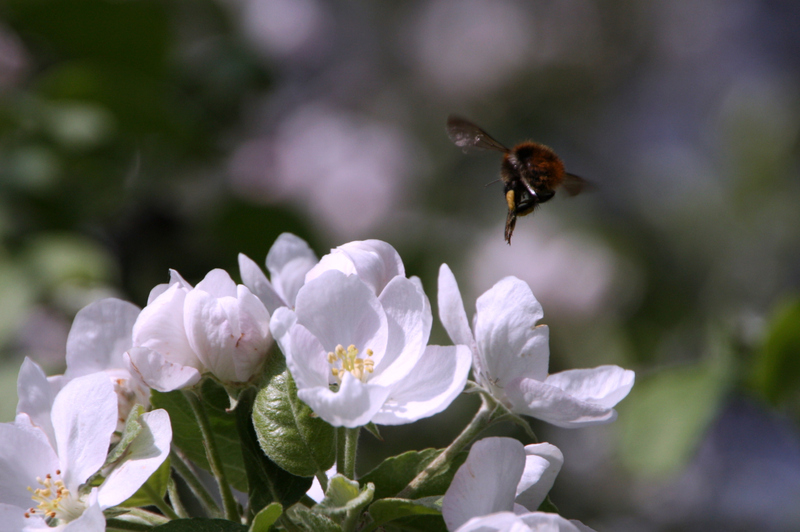 Luckily, apple blossoms can always be counted on to keep the bees busy. 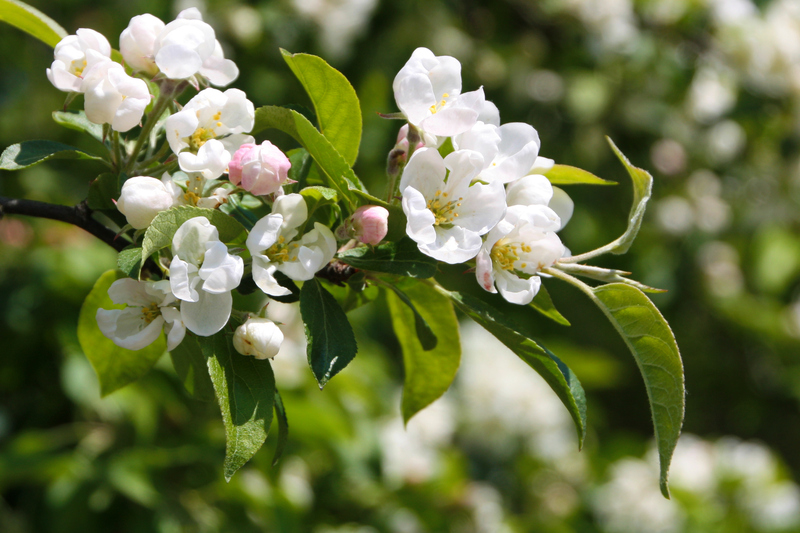 This year, apple trees were especially heavy with blooms. I find them very romantic, and they make me think of white lace, tulle and weddings, for some reason. 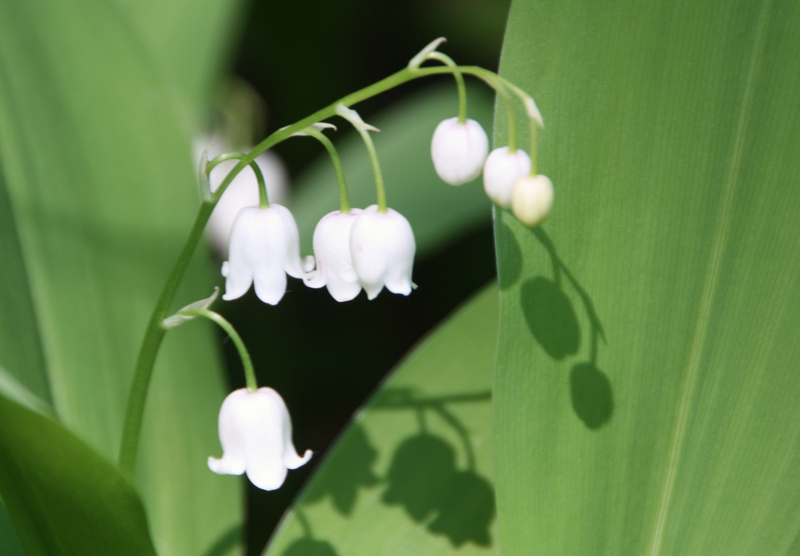 Last but definitely not least, in the cavalcade of some of my favourite spring flowers, comes the Finnish national flower, lily of the valley. 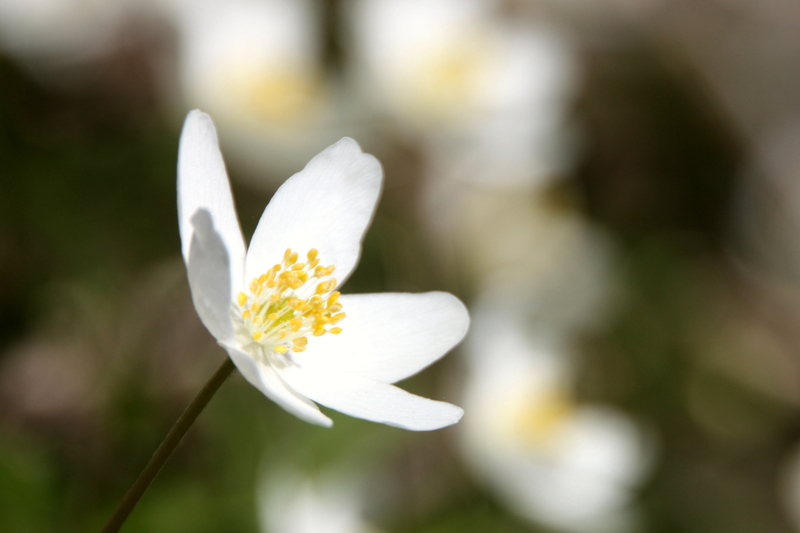 The anemones have by now given way to these white beauties. The whole wood behind our house is now full of their intoxicating scent. I just couldn’t resist picking a few to put in a vase at home. The wonderful flower season will continue all through the summer, and it brings me enormous joy every year. Hope you enjoyed my flowphotos! 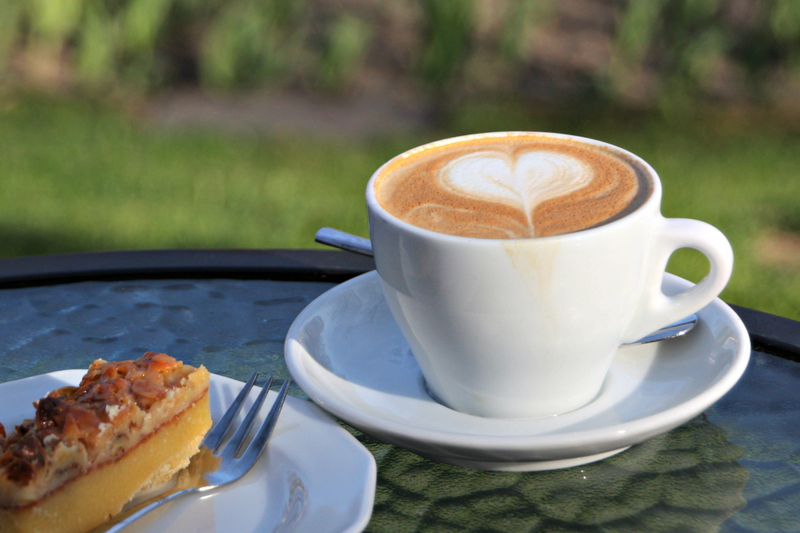 Now let me get another cappuccino for you, so you can tell me about your favourite blooms in your part of the world. 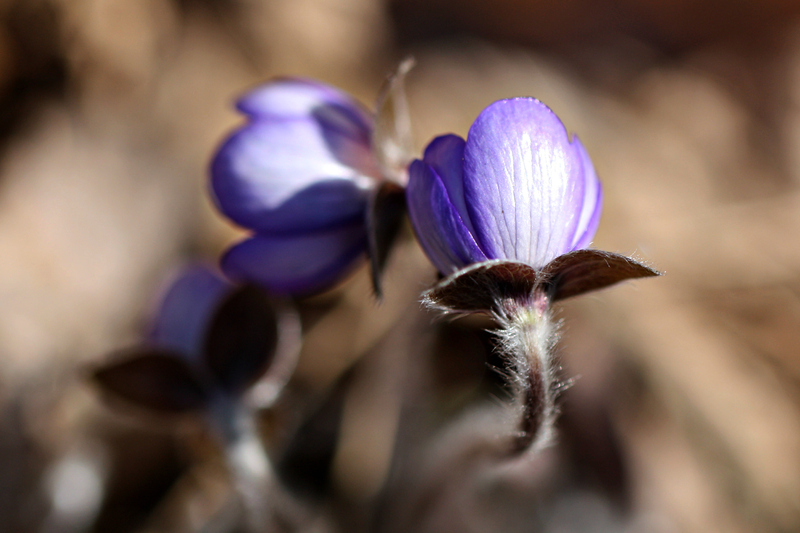 Categories: Life | Tags: Finland, flowers, nature, photography, seasons, spring, weekendcoffeeshare | Permalink. 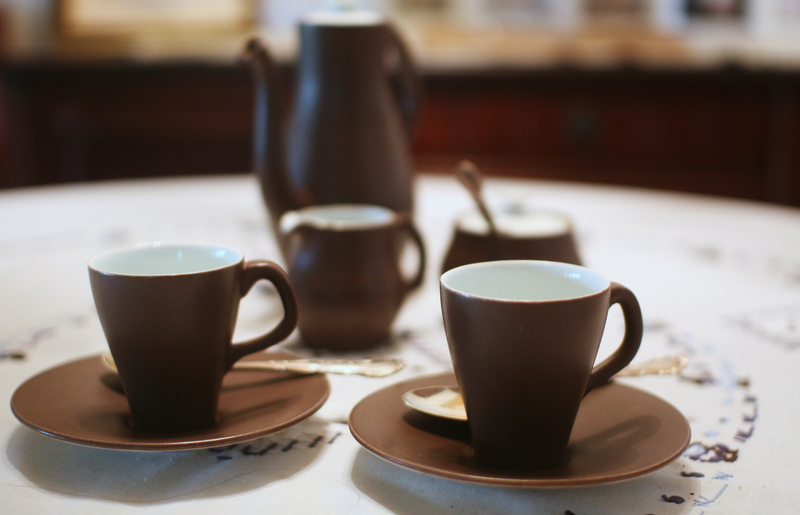 If we were having coffee, I would take out our chocolaty brown retro coffee set, bought at a second-hand store years ago. I would set the dining room table, and brew the last of the smooth 100 % Hawaii peaberry Kona coffee that I still have stored away in the cupboard. Only for special occasions, just like this one, a calm and confidential moment for me to pour my heart out to you. I need to talk about troubled atmospheres in the work place, tantamount to toxicity. I always pictured my ideal working environment as a community of experts, pursuing the same, shared goals. Openness, transparency, fairness, equality and validation and appreciation of everybody’s work effort were values that I used to take for granted. Helping a colleague in need, collaborating constructively, sorting out problems as a team, collegiality and solidarity were its driving forces. All for one, and one for all, for the good of everybody in the community. In such an environment, improving what doesn’t seem to work comes naturally, and everybody is involved in and committed to making things better together. In such an environment, everybody thrives and has the chance to become their best selves. Sadly, I now feel I’m stuck in a time warp of a past paradise with these pie-in-the-sky dreams. Wake up and smell the coffee (pun intended)! I’m a representative of the older generation of employees. My values and beliefs probably seem stuffy, dated and almost obsolete to the new generation, who rush into working life with their different sets of expectations. They seem to have a notion of entitlement, an urge for instant gratification, and a greed for constant praise for their tiniest efforts and achievements. While somebody of my generation would quietly and conscientiously do their work well, and even put in extra hours for no reward when needed, the new generation counts every minute and initiative as something deserving an extra merit bonus. They also tend to keep loudly blowing their own horn, especially when any superior is in the room, and quite conspicuously flatter vain leaders for personal gain. All right, don’t get me wrong. I do understand that people, customs and practices need to keep evolving and developing. The status quo is not a state to be maintained at any price. I actually enjoy change and challenge myself. I understand that the younger generation has grown up in the world of social media where self-promotion, and creating a marketable product of yourself are the norms. I honestly admire young people’s energy and enthusiasm, their fresh, new approaches and chirpy, cheerful disposition. But what gets to me is the utterly selfish, looking after number one attitude, which makes people callously disregard anyone else who might get crushed in the process. And mind you, I don’t claim that things are black and white – with the older and wiser being the modest goodies, while the young and inexperienced are the pushy baddies. Stereotypes and generalisations aside, I’m just describing certain tendencies that I have observed in my rather limited circumstances. What can be done, if a leader qualifies for most of the shortcomings on the list above? Employees witness the situation going from bad to worse, day by day, week by week. Cliques form, a lot of whispering and gossip goes on in every corner, secrecy and defensiveness flourish. Anguish and anxiety spread like wildfire, especially among the older employees. When this goes on long enough, the obvious option for any sensible person would be to get out, as changing the leader is usually out of the question. Sadly, the reality for us older employees is that in the present economic situation, and with raging agism in our society, it’s practically impossible to find new employment. So there, in a nutshell, a dead end situation, being caught between a rock and a hard place, a glimpse into the reality of toxic office politics. In the case of a friend of mine, it went so far that an irreparable personal tragedy ensued. I feel hopeless, helpless and drained out of energy. I’m sorry for burdening you with my problems, but this venting has helped me get if off my shoulders a little bit. On a lighter note, hope you enjoyed the special Hawaiian brew! What’s been happening with you lately? Categories: Life | Tags: problems, rants, weekendcoffeeshare, work | Permalink.